There are two kinds of people in the world: people who understand ginger cookies and people who do not. The people who do not understand ginger cookies are the ones who relegate the whole breed to strict duty as crumbs for crust when graham crackers have gone out of fashion. But there is a world of difference between a ginger-snap, a ginger cookie, and a gingerbread cookie. Bear with me. 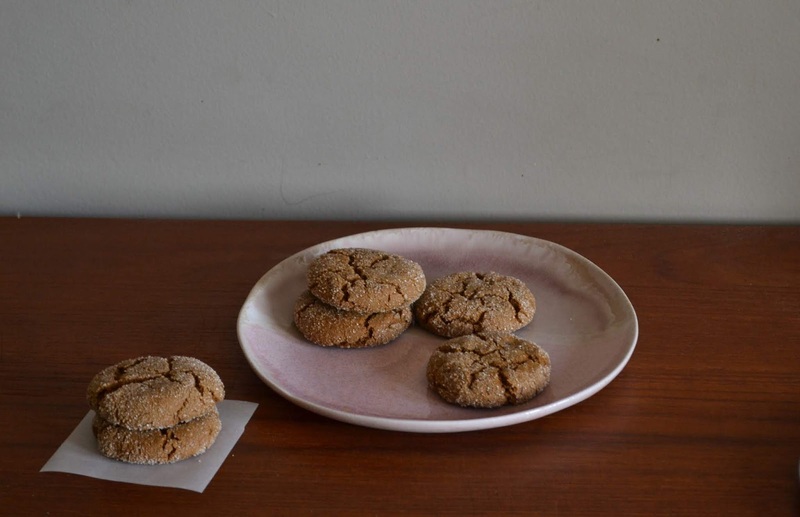 I know those of you who don't give two spits about any kind of ginger cookie won't care, but if you'll hang on two moments, you'll be able to argue the provenance of the varieties of ginger cookies with the best of them. 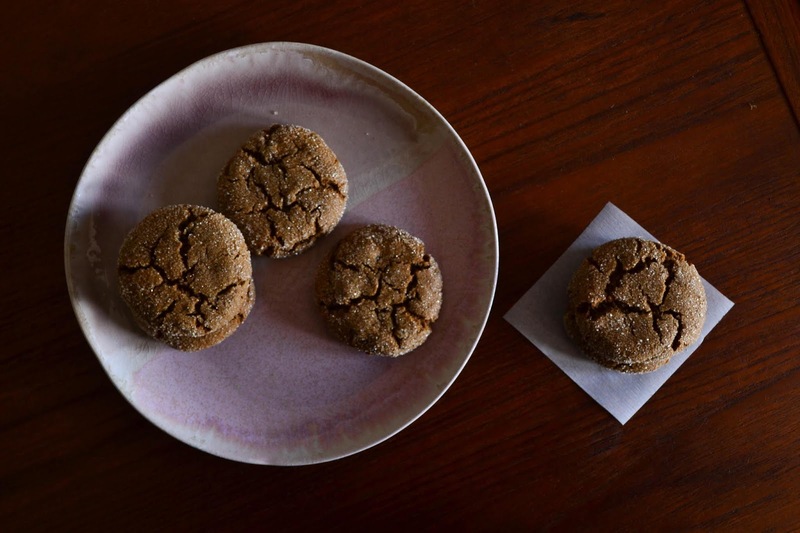 In the medieval time-period, "gingerbread" didn't even refer to a cookie, rather to preserved ginger. However, by the time heads began to roll during the Wars of the Roses, the English at least had the warmth of gingerbread (in its various forms) to console them for the (bloody) effort of discussing whether red or white roses were more appropriate for arrangement in London palaces. In the beginning (and continuing) in the British and greater-European tradition we find the most common form of "gingerbread" being hard cookies baked in an endless parade of shapes. It's really an American thing to consider warm, spicy, muffin-like loaves or squares as "gingerbread." It is now common to assume that unless "gingerbread cake" is specified, a person is referring to the hard, shaped cookies used for gingerbread men, gingerbread houses, and gingerbread ornaments. 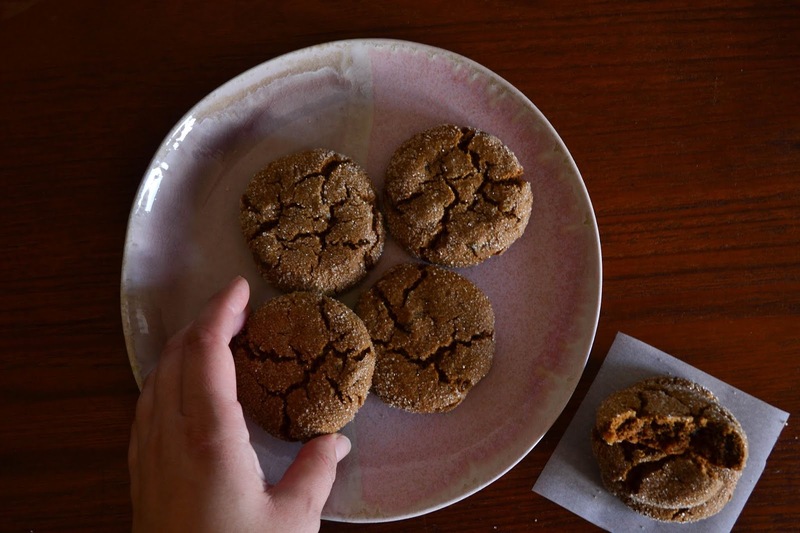 Gingersnaps are a close cousin to gingerbread and could essentially be interchangeable except for the fact that they're quite boring and never baked in any other shape but rounds. I mean, what a life. Change your shape for a second and you're mislabeled as gingerbread. Talk about prejudice. 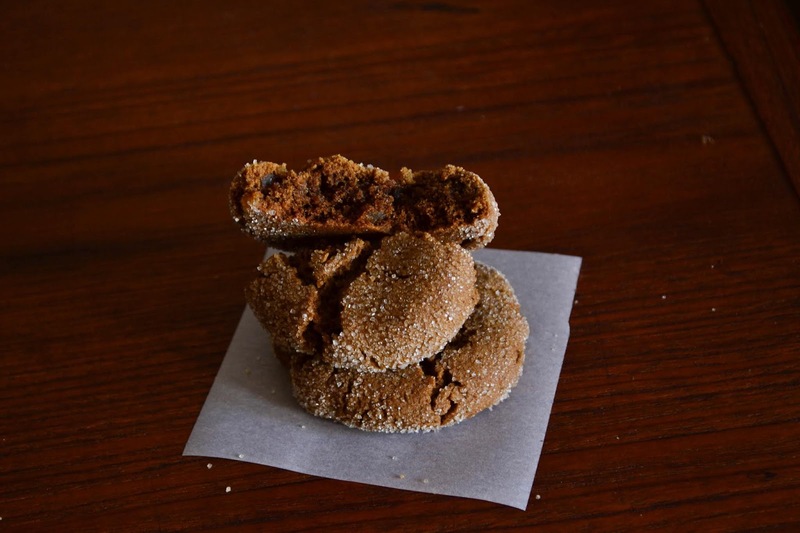 The "snap" part of gingersnaps came round during the Colonial period when it was noticed that when bitten into, the hard gingerbread rounds made a snapping sound. Gold star for participation, Betsy Ross. While I still like gingersnaps with a cold glass of milk on a raw November day, I vote that most gingersnaps end up in a cheesecake with a gingersnap crust. Here we get to the bit I'm most passionate about. Ginger cookies. 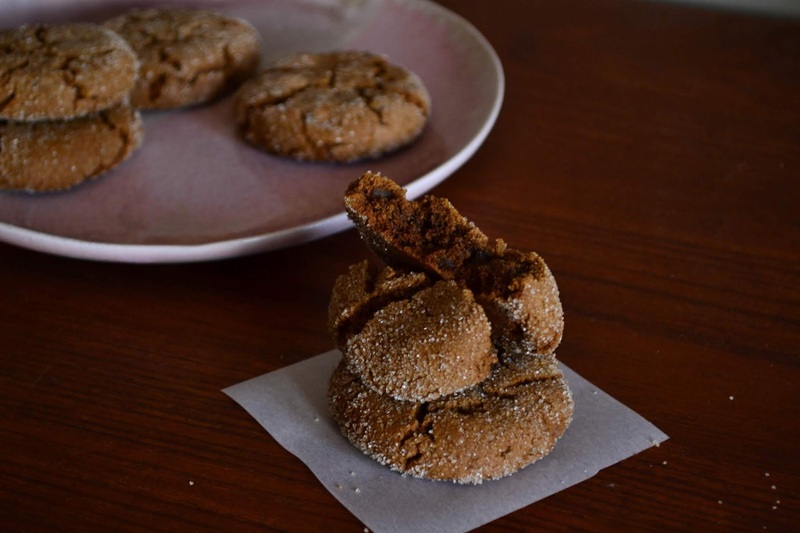 When I refer to a ginger cookie I'm talking about a very precarious, particular, and perfect combination of molasses, cinnamon, nutmeg, cloves, and at least two forms of ginger. I'm talking about dark spice and a chewy texture. I'm talking about cookies which bake up like a dream and pair exquisitely with black coffee, lemon tea, or your morning commute to work. Here we discard all the polite hinting at ginger which bakers have relegated themselves to since the first housewife to bake a pan of ginger-flavored biscuits came up with the idea. 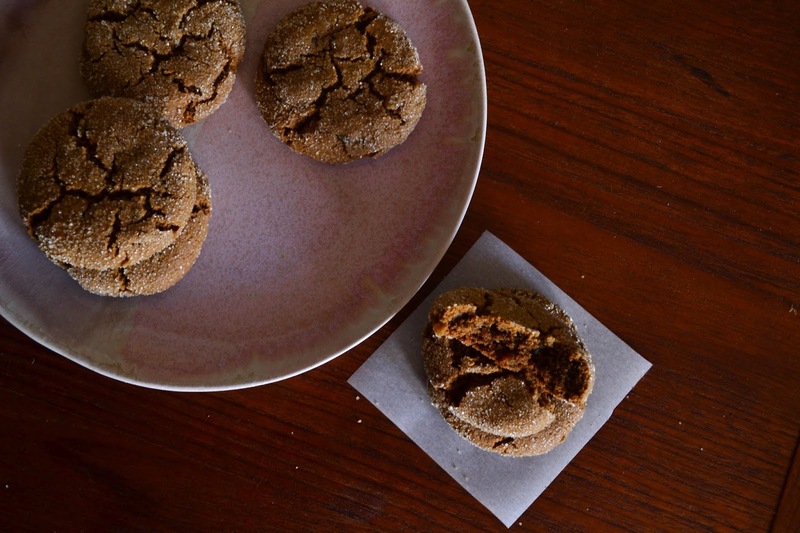 A ginger cookie is big and bold with enough flavor to stay on a bucking horse. Cream butter, brown sugar, and molasses by hand or with mixer until very fluffy. Add egg and beat one minute longer. Add minced fresh ginger. Sift together dry ingredients and add to butter mixture, stirring well. If dough is a little soft, let it rest in the fridge for an hour. Roll into balls slightly smaller than a golf ball, then roll into sugar. Set on cookie sheets at least 2" apart. Sprinkle with a little more sugar. Flatten slightly with the heel of your hand. Bake for 13 minutes until tops are crackled and set. Allow to cool completely before removing from trays. I love your portrait of all the ginger baked goods! I, personally, love ginger in almost any form. I was already sold on your ginger cookies, and then I saw that the recipe calls for nearly a cup of fresh ginger. *swoons*. I definitely need to try these. When I saw you post these on your Instagram, I knew I had to go see if you posted a recipe here, I love a spicy cookie. 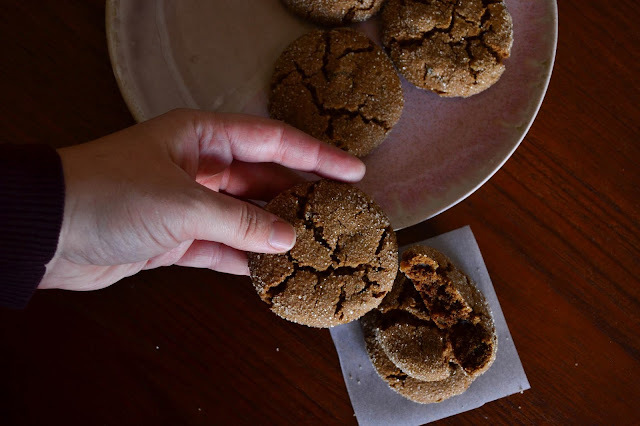 After skimming through your post I have to say though, I'm a gingersnap person (and just a flatter, crispier cookie type person in general), the ones I know are more like the crunchy version of your cookie. I think I'm going to spice them up using your recipe as a guide. 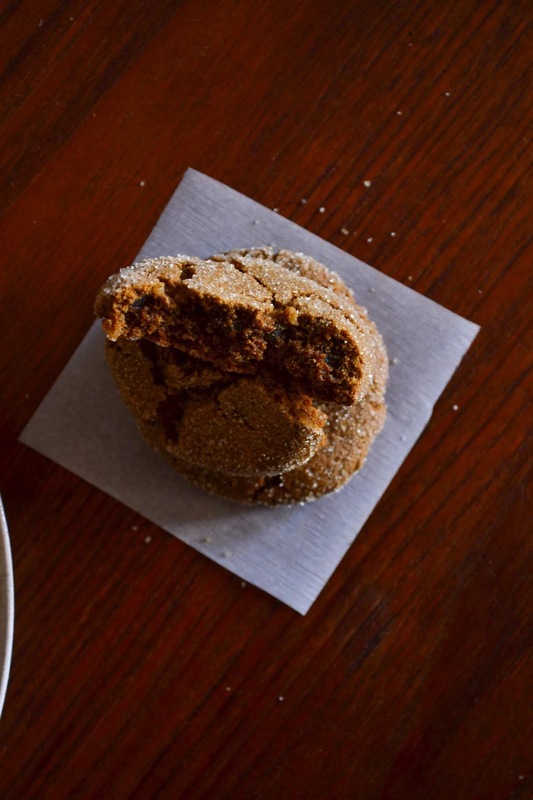 And while we are on the topic of ginger (which I adore in this dessert form and hate, repudiate, and mentally gag to think of in savory things), do you like just regular gingerbread. My mom found and tried Once Upon a Chef's gingerbread which we adore and have made multiple times.